Digital marketing teamwork can drive productivity and bring a lot of efficiencies but is not always easy to implement in real life. When your marketing team has to work with multiple stakeholders – including supervisors, web designers, content writers, social media specialists, pr agencies, product management, and bloggers – managing a multi-channel campaign could become a little challenging. Things can get even more convoluted if some of your team members work remotely or live several continents and time-zones away. Many existing and prospective customers have reached out to us and told us that they are looking to replace individual user solutions with team-supported tools to address the above-mentioned challenges and focus on seeing real returns from collaboration. We listened to this feedback and used it to build our CampaignTrackly Teamwork feature. 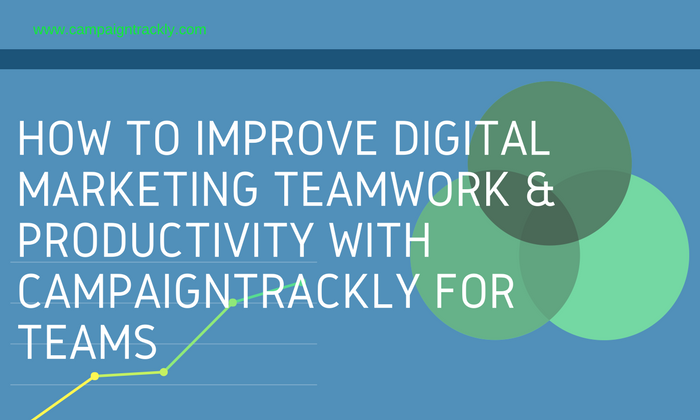 In this post, I will show you how you can increase productivity and save time by using CampaignTrackly for teams. 01.No need for your team members or stakeholders to reinvent the wheel and start from scratch every time they need to add tracking tags to pages, blogs or more complex campaigns. “It’s so much simpler than I thought it would be!”, says one of our customers who recently saw a demo of our app. Yes – it is simple and with almost no learning curve there are no excuses for not tracking:):):) all your promotions. 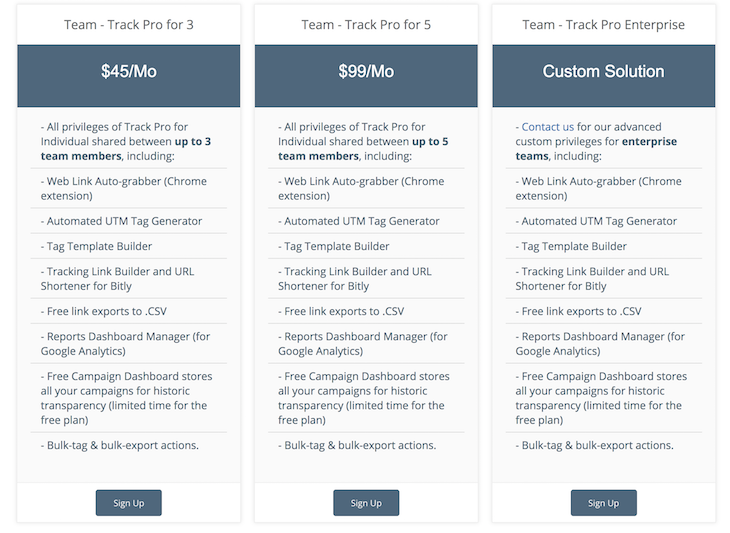 Using CampaignTrackly for Teams, all team members can share and use a single UTM channel library to add, store and re-use the right tracking tags for all your digital marketing channels. 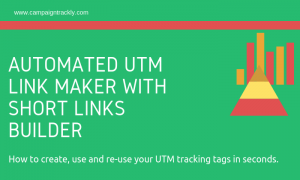 Instead of having to memorize how UTM tags are coded or type and copy-paste them every time, or spend valuable time searching for reminders on UTM best practices – now all they need to do is use our link grabber (the Chrome extension) to auto-capture the website link they need to tag. Once the link is captured, they can select with a click of a button the relevant channels from your tagging dashboard. 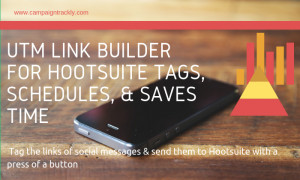 This enables them to build their tracking links in seconds – no coding, guesswork or complicated spreadsheet work required! What is more, they get all their website links shortened – as they are being tagged! The whole process is fast, simple and most-importantly – fully automated. 02. 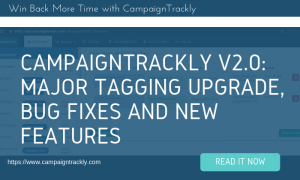 Maintain consistent tagging conventions and say goodbye to typos, confusing campaign tracking tags and duplications in your reports. Sharing one account enables everyone on your team to build together and continually use one standardized tagging template library. This eliminates the guesswork out of the tracking process, reduces duplication or missed channels and makes things so much easier to manage. If, for example, all your product-related blogs are always promoted on the same 15 or 20 channels while your thought leadership blogs get shared on a different set of channels – create separate tagging templates for each blog post type. Need to add more channels or remove redundant ones? No problem, edit your template in seconds to keep it up-to-date and ready for use. If your product promo emails always feature the same types of elements – such as a hero banner, a button, and a discount offer – create a dedicated promo email tagging template, so everyone can re-use it and save time. 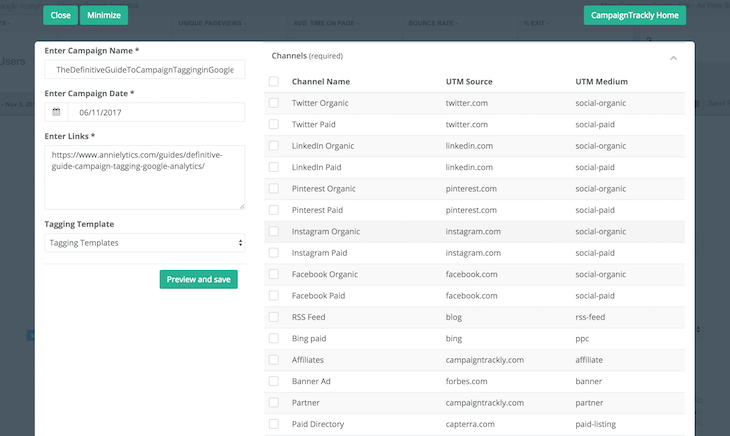 You can build templates for every asset type or even multi-channel campaigns. This not only saves time – it also helps to minimize tracking errors and under-reporting across campaigns and stakeholders. 03. 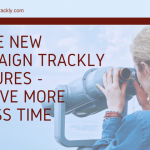 Keep all campaign tracking activities in one place and never misplace tracking links or lose track of the assets that you are promoting. Use this central hub to update, review and export all your links with a click of a button. The Campaigns dashboard automatically logs every single tracking campaign that has been created – by anyone on your team.It also enables you to store, search and easily sort campaigns by date added or alphabetically. If a stakeholder or team member needs to find the tracking links for a specific campaign – they know that they have one central place to go to – and there is no need to spend time going through emails or files in search for the right spreadsheet. Locating the right campaign takes seconds via either search or sorting. 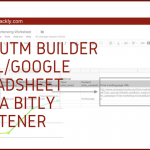 Additionally, the actions portion of the dashboard enables anyone to easily export your tracking links into a .csv format, review and edit your existing links, add new ones and even quickly view their performance in Google Analytics with a click of a button. 04. Have a Google Analytics specialist on staff? Give him or her access to CampaignTrackly to let them set you up, verify channel naming or troubleshoot potential issues in seconds – when they can access your account using CampaignTrackly for Teams. If you are using Google Analytics, you may choose to connect CampaignTrackly to your Google Analytics accounts so that you can view individual campaign performance with a click of a button, as well as print and email simple reports showcasing bounce rates, visits, and goals. Although connecting our app to GA takes seconds, it is always good to give your analytics specialist the chance to have a look at your tags and verify that your tagging templates and tag library are being recorded correctly. 05. Let your team members access the Reports Dashboard so that they can quickly identify top performing channels or underperforming campaigns and address challenges in a timely manner. Our Reports dashboard pulls data from Google Analytics at least twice a day, giving you instant visibility to your campaigns’ performance for both standard and custom periods of time – last 7 days, last month, etc.. You and your team members can quickly skim through your list to see if a campaign is generating clicks. Everyone can also sort campaigns by best-performing ones (most clicks) versus campaigns with zero clicks. The Reports dashboard also gives you a useful overview of all your campaigns, sources or mediums, showcasing the ones that are driving the largest number of sessions and goals. 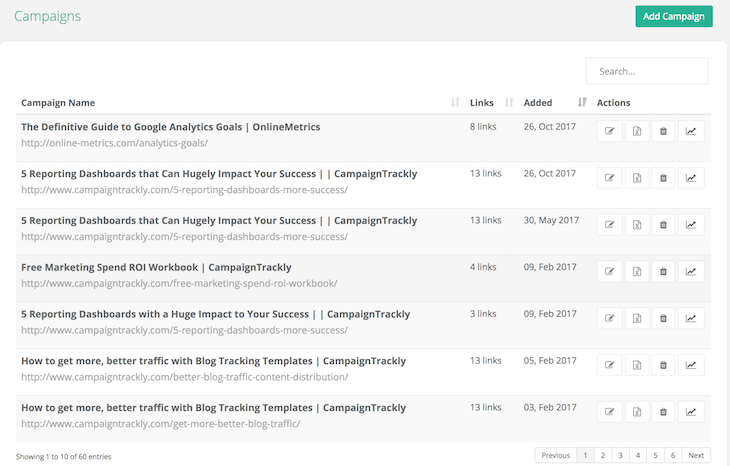 CampaignTrackly brings a number of useful benefits to your digital marketing team – from helping you to optimize your campaign production and reporting workflows to enabling you to follow a more streamlined and standardized best-practice way of tracking and improving the performance of your campaigns. We currently offer teamwork for 3, teamwork for 5, as well as custom enterprise-level options. It is extremely easy to sign up for our team-based plans – just create a free account, visit Settings and choose a Team plan of your preference. Once you finalize your payment, you can simply invite your team members and they can start using your shared account instantly. You can have a look at our new team subscription options here. As always, contact us at support@campaign-trackly.com with any inquiries you might have. We are eager to hear your opinion about our new teamwork feature – so please let us know what you think. Additionally, if you have any specific activities or requirements related to your digital team’s daily work that you might need help with – please do not hesitate to contact us, we will be very happy to chat with you and hopefully work together with you in reaching your goals. Tag smarter with our easy-peasy link tagging app. No codes, minimal learning, no manual work.